KSLD worked with Michael Laird Architects to improve the visibility and appeal of the existing commercial rental property, Spectrum Building, for its prospective occupants. This was achieved by creating an uplifting lighting scheme, improving the on-street presence and bringing the building interior up-to-date. 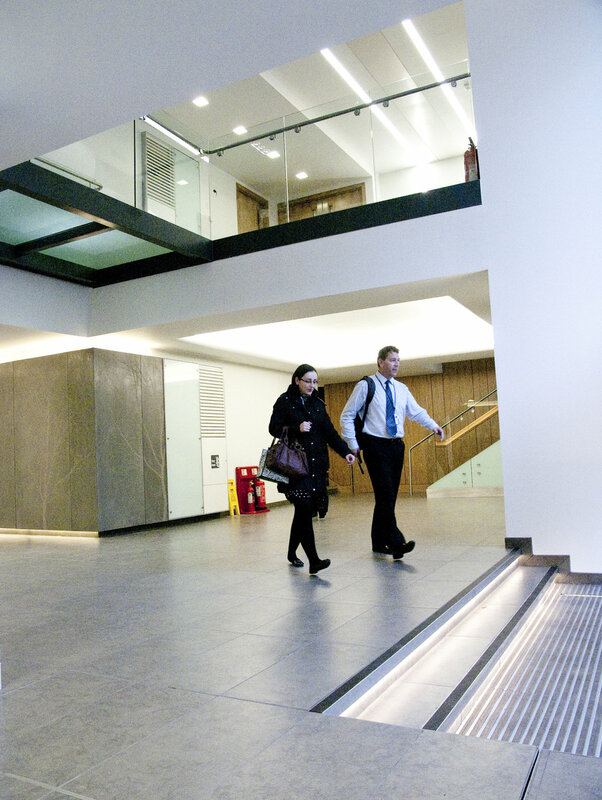 Areas included in the scheme were the exterior facade, entrance lobby, first floor lobby areas and main staircase. The concept throughout was minimal, linear, clean and bright. An array of simple LED light boxes on the facade with the facility for basic animation gives a bold yet sophisticated statement at street level. The light boxes are programmed in a random fade sequence, set to be active during the early hours of the evening when footfall adjacent to the building is high. The slow fade and gentle differentiation between panels creates a subtle and timeless animation. 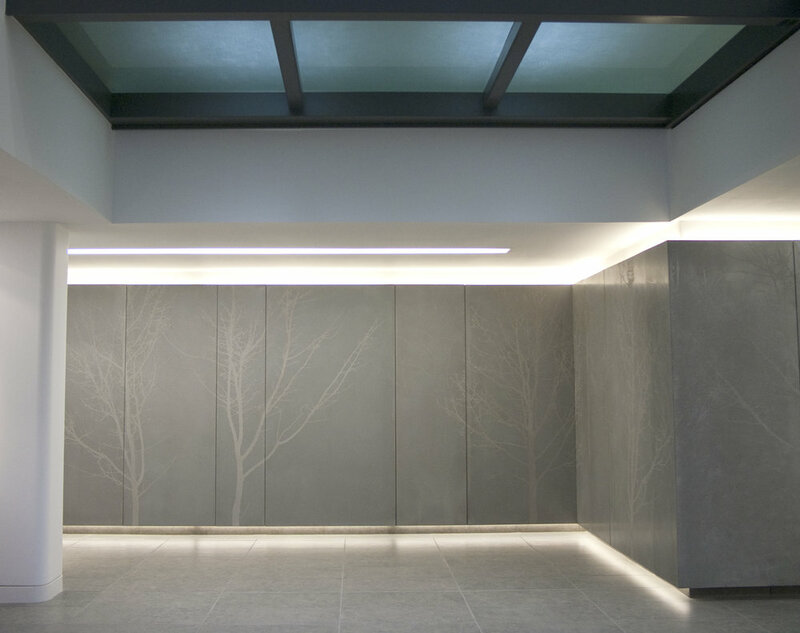 Throughout the interior this linear theme is continued with ceiling recessed fluorescent luminaires at the reception area, and fluorescent linear lights with 90 degree bends framing each of the lift lobby areas, emphasising the form of the space. 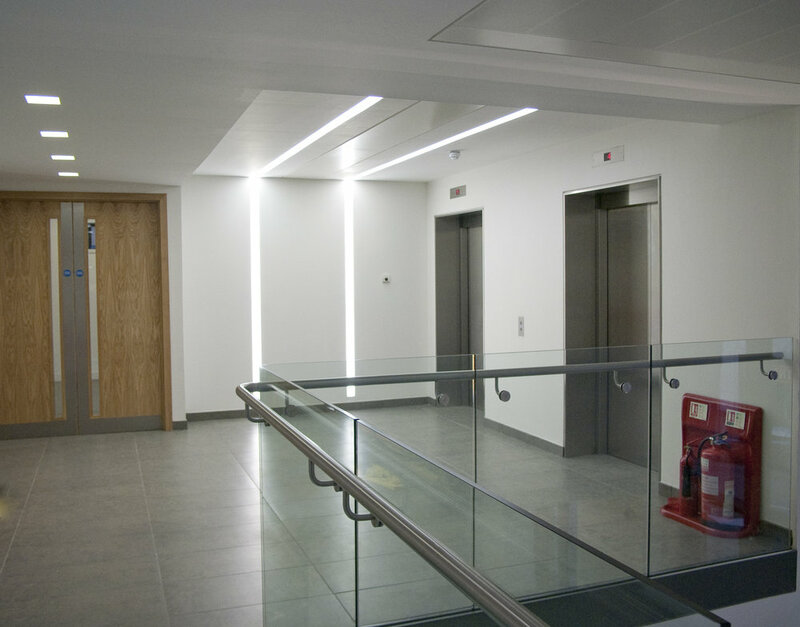 Trimless fittings and indirect lighting were used throughout to keep the architecture free and open.